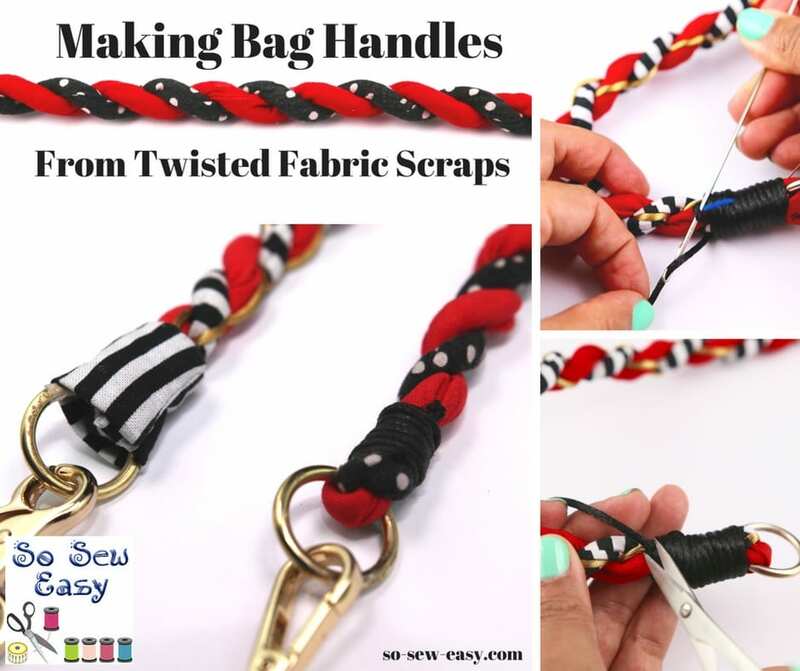 Here is the perfect opportunity to use your scraps to make bag handles. The strips need to be 60″ in length by 2″ wide. This length is enough to make a 22″ bag handle. You can sew a few scraps together that complement your bag to reach the length required. I am using 2 different fabrics from my scraps. There is no need for this to be on the bias.